They aren't margaritas for Cinco de Mayo but they are tropical and pretty enough to get me thinking about a vacation to somewhere where I can sit back and drink one (or three). I have travel on the brain and have been crushing on these Star Mela bags as I imagine myself strolling along the beach toting one. The pom poms and neon colors just speak to me. 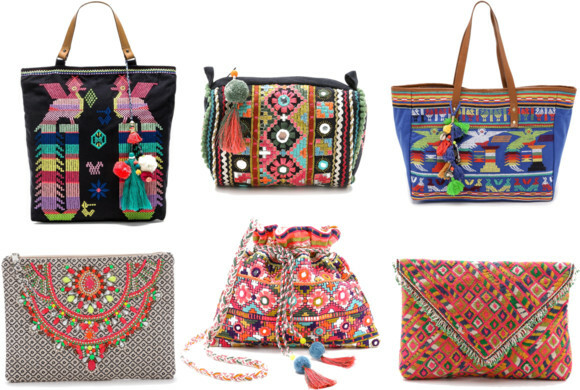 What beautiful bags, the colors are gorgeous. Aren't they!? Thanks for stopping by, Rachel!